Our October 2015 Workbench of the Month comes to us from Dean W. from Victoria Australia. 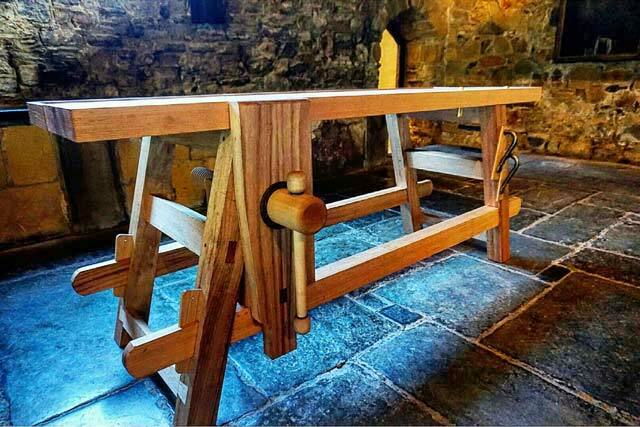 He had ordered one of the Moravian Workbench build DVD’s that our good friend Will Myers had made and based on that, Dean constructed this workbench masterpiece. 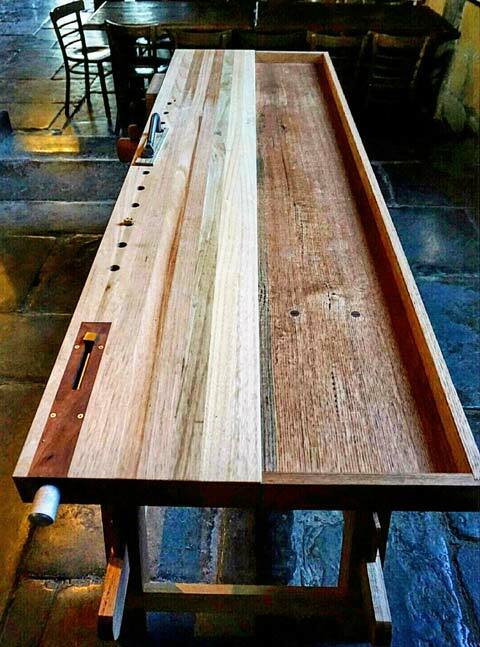 One of the key points that Dean makes mention of is the fact that this style of workbench can be easily disassembled, transported and then reassembled. 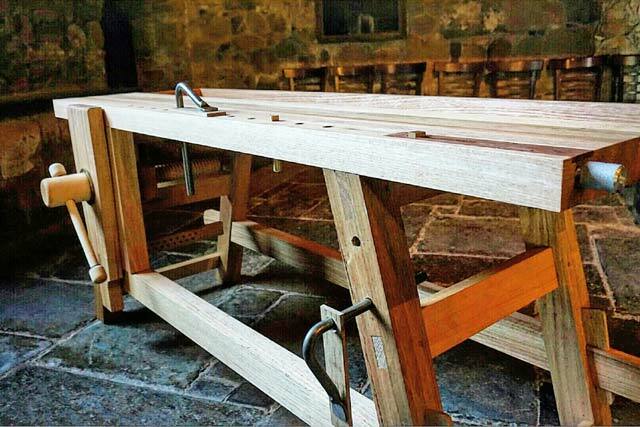 So if you need this type of flexibility, then the Moravian workbench might be your cup of tea. The idea of a portable workbench has always intrigued me ever since buying a workmate – that was until I built a solid bench with real vises. So when I saw a DVD for the Moravian workbench for sale I was hooked. Following Will Myers instructions l built it over a period of two months part time. Unlike Will I incorporated machinery where I felt appropriate but still spent a far bit of time with handsaws, chisels and brace. The bench is built with what is described as construction grade F17 hardwood. The benchtop section is laminated together to get the right size. I used Old Brown Glue for any joinery except for the top which used titebond 3. I finished it with Organoil Danish oil. I never imagined I would build a workbench with a leg vise but have been converted and impressed with its workholding capacity. Nick at Lake Erie Toolworks was a great help when buying the hardware and suggested using the external garter. Overall I am impressed with their products and service. I also installed a HNT Gordon tail vise. Boring dog holes to accept hold downs and bench dogs with centers 45 mm from the front edge. I find this distance good for use with joinery planes, routers even sanding. The bench is very solid but easy to dissemble and reassemble thanks to wedged through tenons on the rails. Supposedly the original bench which is at Old Salem NC was moved to the jobsite where needed. 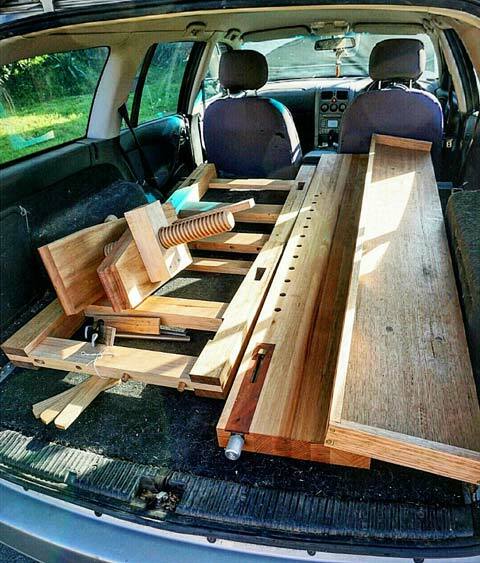 It easily fits in the back of a station wagon. For images of the build visit my instagram page @louiss100. Just a quick note to mention that Lake Erie Toolworks is now on Instagram. Please feel free to follow us via the following picture link to receive regular and timely updates of interest. 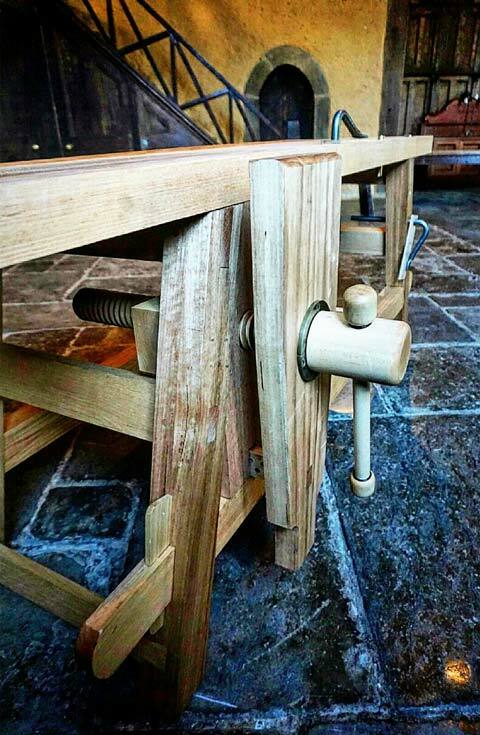 Our September 2015 Workbench of the Month offers up a very unique vise submitted by Drew W. from New Orleans, Louisiana. 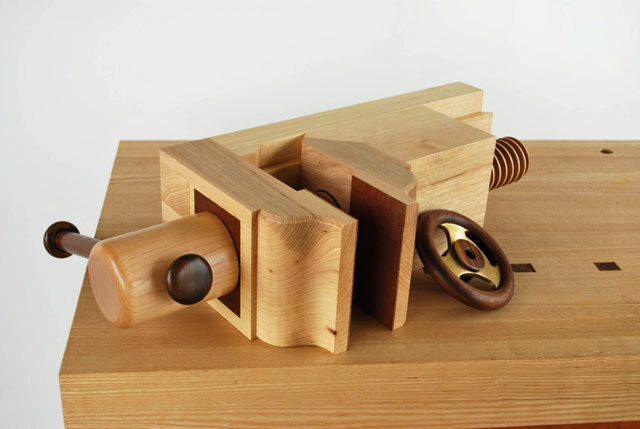 Drew has used one of our standard Vise Screw Kits to construct an amazing tool making, joinery and carving vise. The details are provided below and we’ll let you all be the judge as to how fantastic Drew’s vise turned out. Simply tremendous. Enclosed is a vise I built to accompany my smaller workbench designed as a plane maker’s or toolmaker’s bench. 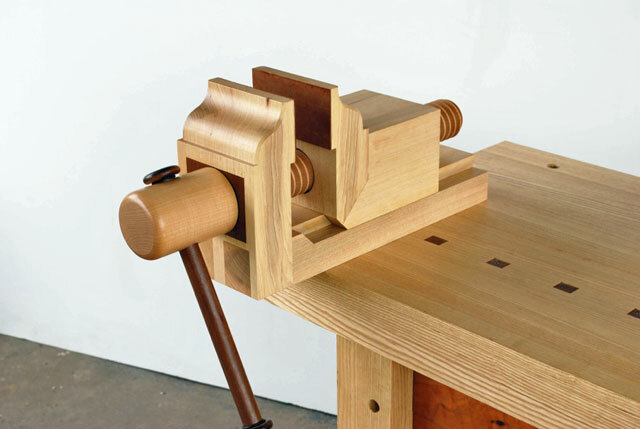 The vise found its inspiration from the antique La Forge Royale carver’s vise, but additionally from Jameel Abraham’s blog featuring the build of a replica. My design is nearly all wood construction with the exception of a few machine screws for the garter and the assembly for the hand wheel. I had the liberty of using exceptional material that had been air dried for many years. The heavy stock is hickory from a medium sized slab that was discounted because of bug holes. By cutting it into smaller billets, I was able to dodge nearly all flaws and yield beautiful stock for this vise. The other wood specie used is ipe which machined surprisingly well with sharp tools, but best of all, complements the hickory. The jaws are lined with suede and the finish is conversion varnish. The knobs on the handle are lignum vitae, as is the hub of the hand wheel. Threads are tapped directly into the lignum hand wheel, which was a pleasure to execute with the natural oils of the wood lubricating the whole process. 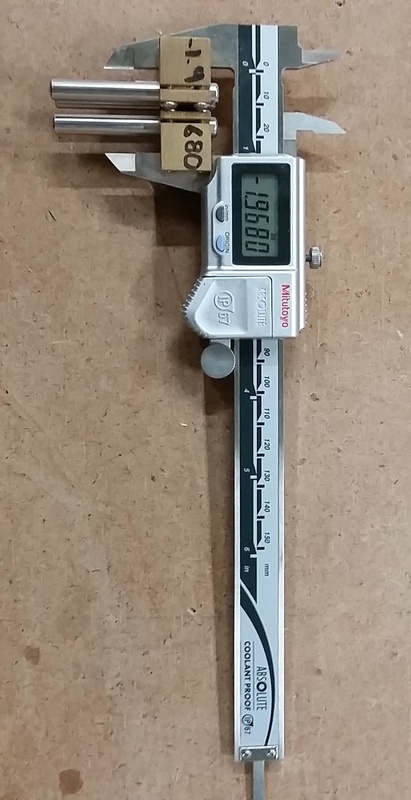 Dimensions are 6” wide, 10” tall, and the vise screw is 24” long. The height elevates work pieces above the bench top to a very comfortable height. 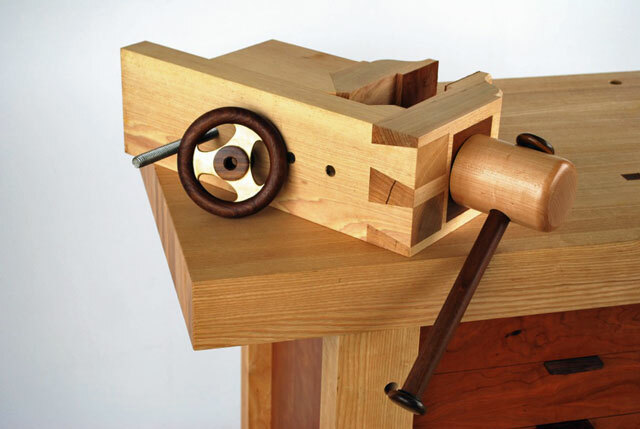 The big wood screw means that the vise moves quick, grabs hard with little to no racking, and parts can rest on the threads without getting grease on them. The nut from the standard kit is captured inside the moving jaw assembly and I had to take extra care to accommodate wood movement between the different types of wood and different grain directions. 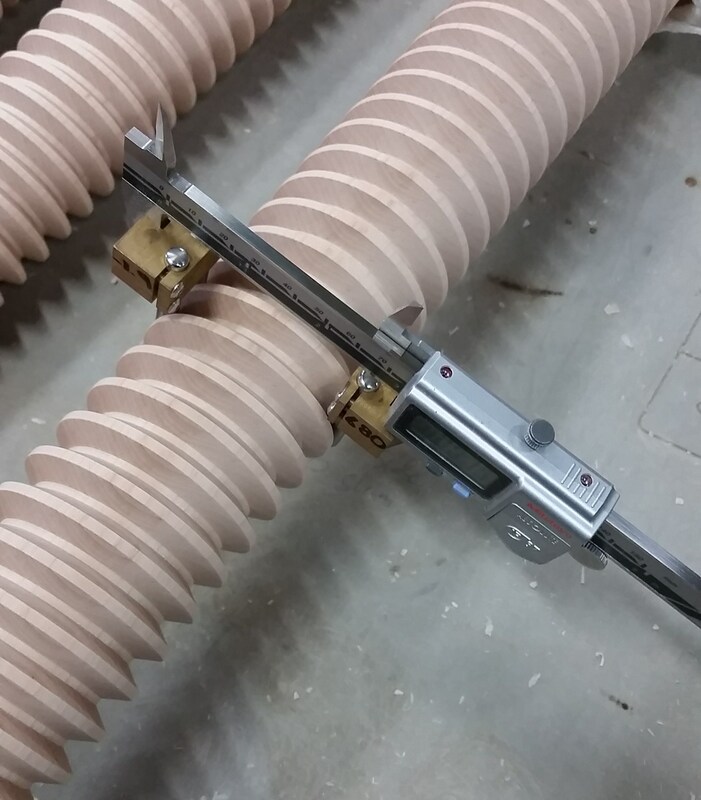 Parts were dimensioned to their final sizes over the course of weeks to ensure stability post glue-up. If I were building it again, I would use a “T” shaped track for the moving jaw assembly. 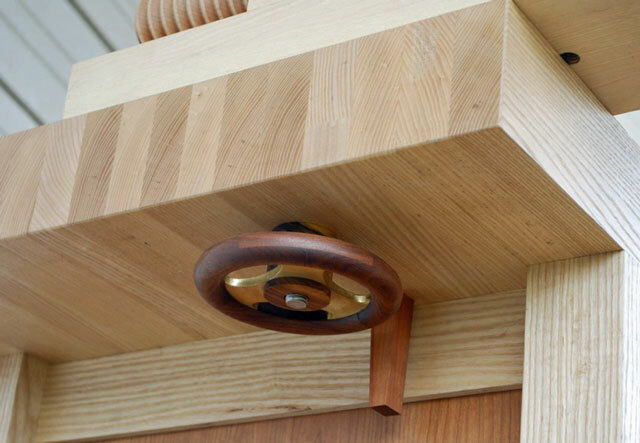 The dovetail is nice looking and maybe the simplest in design (which is always a goal.) 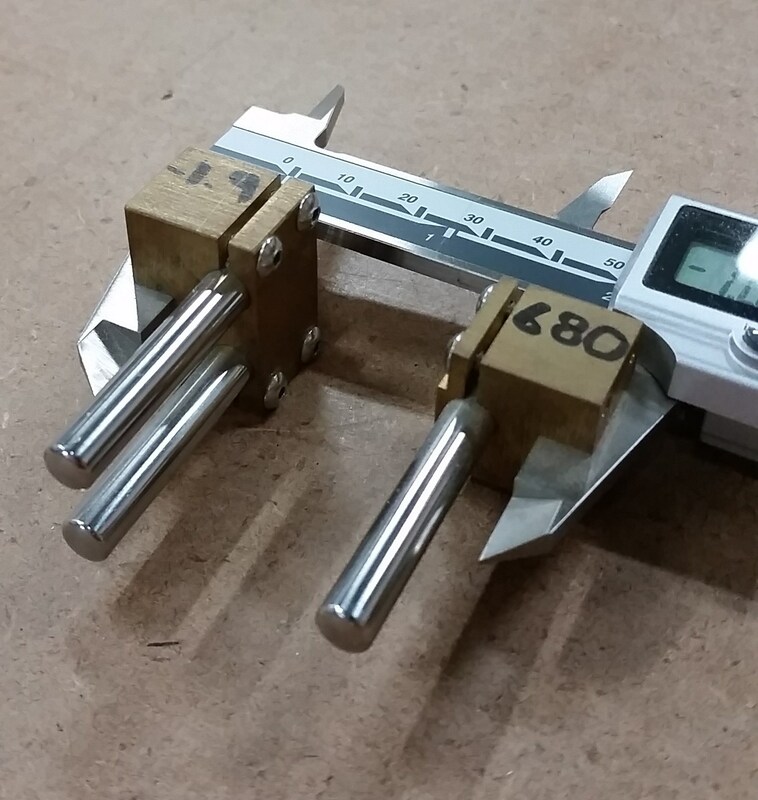 Though, to execute a smooth functioning vise with little slop in the components, the tolerances in the dovetail track were around +/- 0.001” This means that it is a little stiff at 100% humidity and a little loose at 30%. 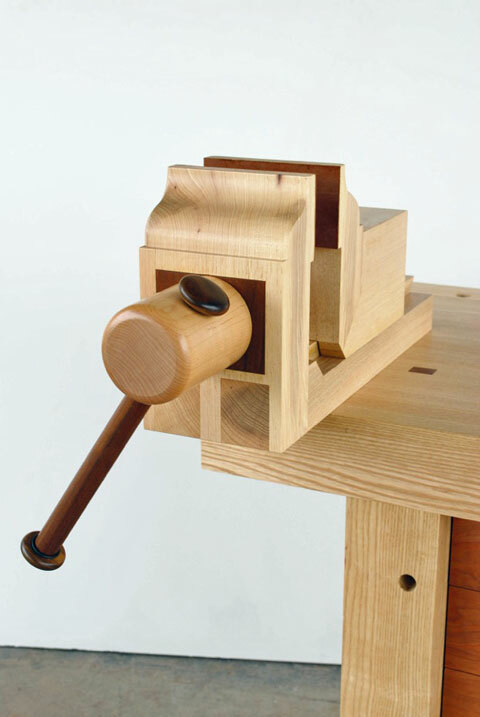 The vise gets daily use in my shop and has become more than a novelty, playing a vital role in several difficult joinery tasks, and of course, carving.